First thing to realize is your groove will never sound exacly like Keltner’s or JR’s or anyone else’s. That’s what’s beautiful about playing an instrument. I feel it’s ok to imitate your heros if it helps you learn a new skill. Eventually, with enough practice, you’ll internalize this feel and be able to access it automatically when your musical intuition tells you to go there. 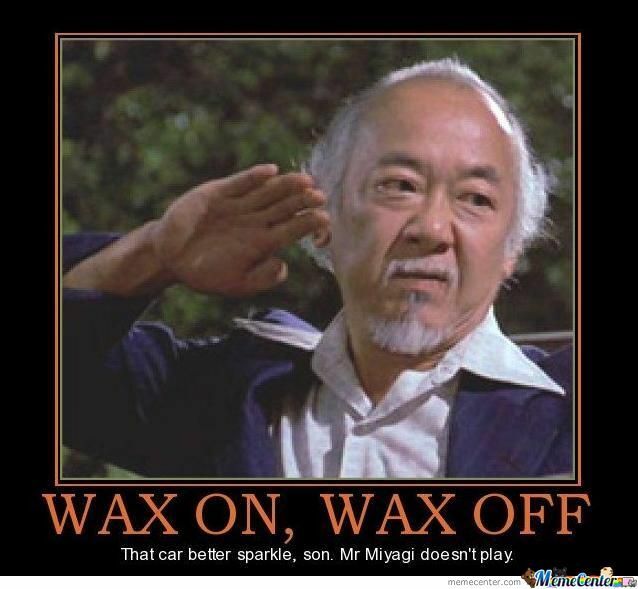 But first you need to paint the fence, wash the car, do whatever else Mr. Miyagi tells you to do. It will make sense later. You need to train your body to be comfortable with it and with enough practice you’ll notice the subtle seasoning in your playing, and so will others. Before you start, record yourself playing a simple “Billy Jean” type groove with 1 and 3 on the kick and 2 and 4 on the snare with an 8th note hi hat to a click. Don’t try to lay anything back, just aim for the middle of the beat. Record 8 bars or so of this. You’ll use this as a baseline to mark your progress. To help you get cozy with a late backbeat I’m going to use a familiar rudiment, the flam. Your goal is to be able to control just how late your backbeat lands and keep it from shifting. Grab your practice pad and a metronome. For right handed drummers, play left hand accent flams on 2 and 4, resting on the other beats. The practice pad will help you hear the click better. Find a volume for your metronome such that your left hand accent is about the same volume as the click. This is crucial. Make the grace note land on the beat and the accent follow it. Play around with the tightness of the flam. Start with a unison flam (both hands hit the pad at the same time) and gradually open it until the accent is all the way to the &, then gradually move back to a unison flam. Do this over the course of 16 bars or so. Find a slow tempo that’s comfortable. Use an 8th note click if it helps you stay in time. Be careful not to let the grace note shift from the click. When you’re ready add ¼ notes on your right hand on 1 and 3. Keep them low like your flam grace note. You want to be able to clearly hear the relationship between the click and the left hand accent. You now have a quarter note groove emerging with a backbeat on 2 and 4. Again, vary the tightness of the flam all the way to the & and back over 16 bars. Now go to 8th notes with the right hand. Notice that when you start the 16 bar phrase, you have a unison flam on 2 & 4. Around bar 8 when your left hand accent reaches the & you’ll have a unison flam on the & of 2 and the & of 4. Once you’re comfortable with the above exercises, pick a flam tightness that feels good and try some different tempos, keeping the flam tightness consistent. Listen to how the accent lands just after the click on 2 and 4. Get comfortable with this. Be careful not to let your right hand get behind the beat. When you’re feeling good on the pad, move to the kit. Do the above exercises with your right hand on the hi hat and left hand on the snare. Now, with the click running, stop playing the hi hat. Just play the snare with your left hand. Notice how you can consistently play your snare just behind the click. See how long you can hold it there. When you get off, put your right hand back in to help guide you. Here’s the thing, this flam business is just an exercise to get you cozy with the late backbeat. You don’t really want any flaming between your hi hat and snare in your groove. Experiment with shifting your right hand a little later on beats 2 and 4 so that it lands in unison with your left hand. You’re effectively stretching beats 1 and 3 slightly longer than a ¼ note and shortening beats 2 and 4 to slightly under a ¼ note to catch up to the next downbeat. Record yourself performing Step 8 and compare with your initial recording. Do you hear a difference in your pocket? I was wondering if you have made or will make a demo video/s for your October 22, 2014 article, “All About Groove – How To Practice Backbeat Placement”? It would be nice to see and hear each step played to fully understand the concepts. I really liked your February 16, 2015 article, “All About Groove – Demonstrating 5 Different Types Of Swing,” and the coinciding video was fantastic! Hey Mike! Thanks for the feedback. I hope to put up a video for this one soon.